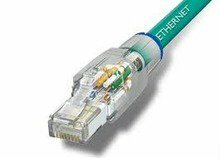 The second highest server Ethernet port sales and shipments may be 25G over the next five years, according to Dell’Oro Group. First will be 10G, which will account for more than 50% of the $1.7 billion in revenue and 40 million ports by 2018. Twenty-five gigabit Ethernet is taking off fast. A handful of very powerful data center and cloud vendors and suppliers – Google, Microsoft, Broadcom, Arista and Mellanox – formed a consortium three weeks ago to promote and catalyze development of it. Cisco said it too is planning to join this group. And the earlier this week, the IEEE formed a 25G Ethernet study group to explore standardization of it. The IEEE believes standardization shouldn’t take long because all the pieces are in place – 100G Ethernet, which is already a standard, is comprised of four lanes of 25G. IEEE says its can have a 25G standard ready in as little as 18 months. That 25G technology already exists in 100G will drive better cost efficiencies than 40G as well, Dell’Oro says, saving cloud providers and enterprise data centers capital and operating expense. These efficiencies, plus the endorsement of 25G by large cloud providers like Google and Microsoft, might be enough to knock 40G down a rung as the next most deployed server access port. But costs are declining for 40G and 100G as well, and 10G, which will spur strong demand and keep average selling prices stable, says Crehan Research. Price declines are being driven by increased competition among data center switch vendors, low-priced white box, and merchant silicon and operating system offerings, and the price negotiating power of some of the very large, hyper-scale public cloud providers, Crehan notes. This will result in demand that will drive Ethernet data center switch revenues to $14 billion by 2018, with revenue growth slightly exceeding shipment growth, according to Crehan.